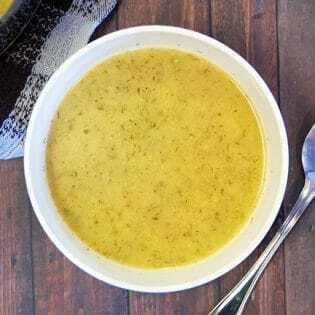 A delicious (and easy) paleo recipe for cauliflower soup with a hint of dill. In a large stock pot, add the cauliflower florets, chicken broth (I usually just add water and a spoonful of Better Than Boullion) and onion. Bring to a boil over medium-high heat. Take an immersion blender (or transfer to a blender) and puree.